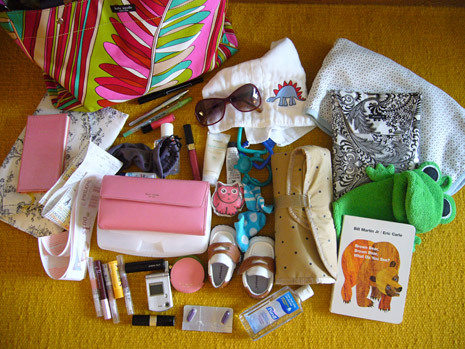 Do you remember my streamlined purse contents back in 2005? Having a baby changes your life – Case in Point #1,547. Please direct your attention to the 10 lip balms/glosses/sticks in my bag. Necessary?